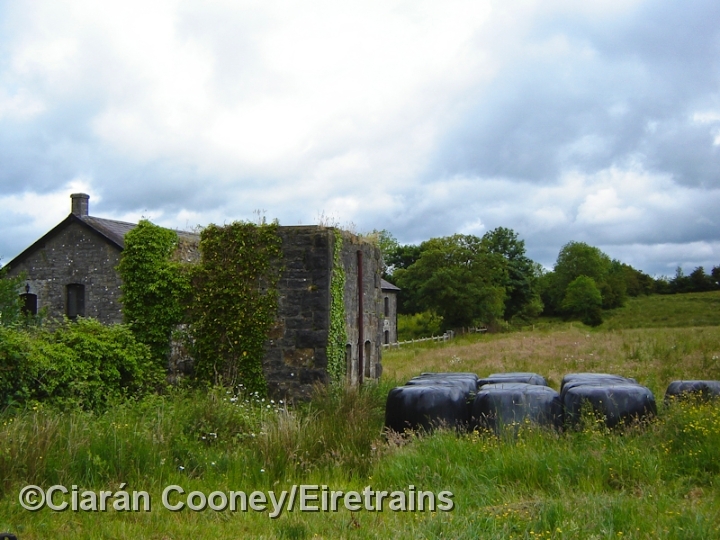 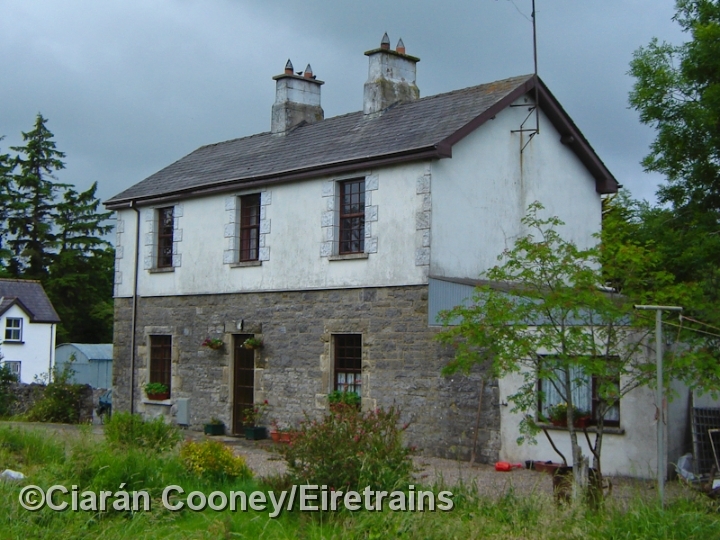 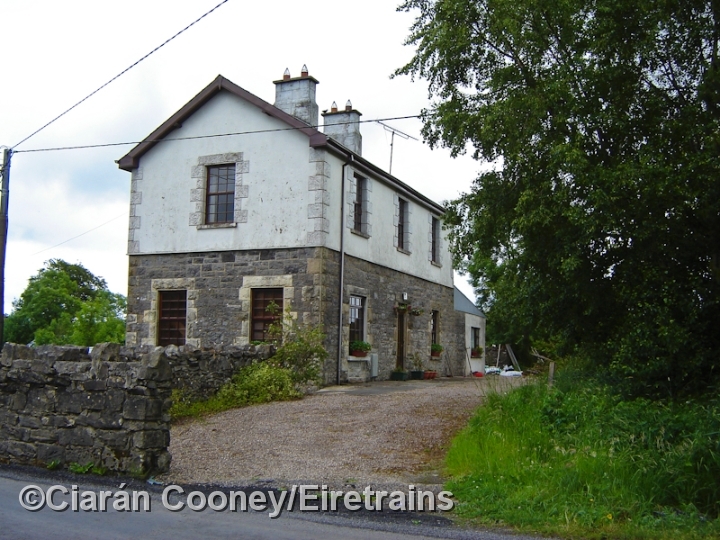 Dromahair, Co.Sligo, on the former Sligo Leitrim & Northern Counties Railway line between Sligo and Enniskillen. 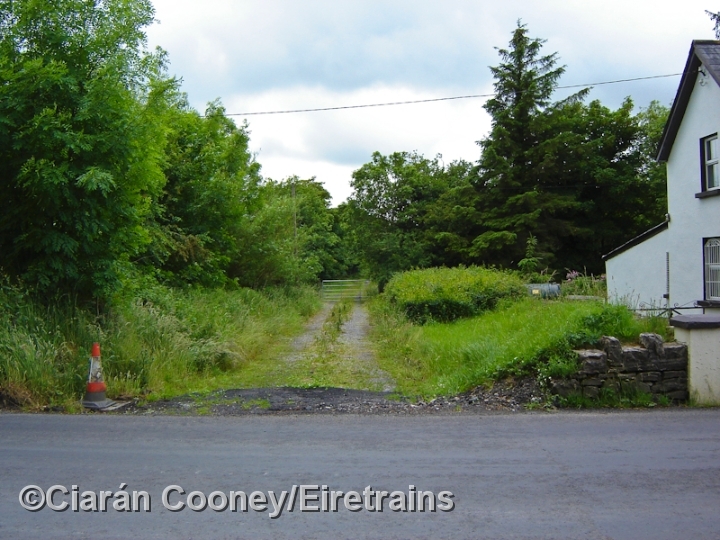 The SLNCR line was opened in 1881, but was closed completely in 1957. 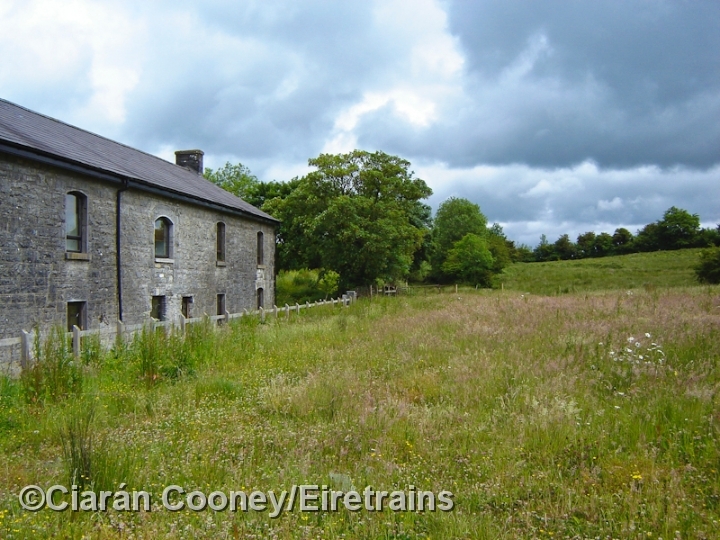 Most of the station buildings at Dromahair survive. 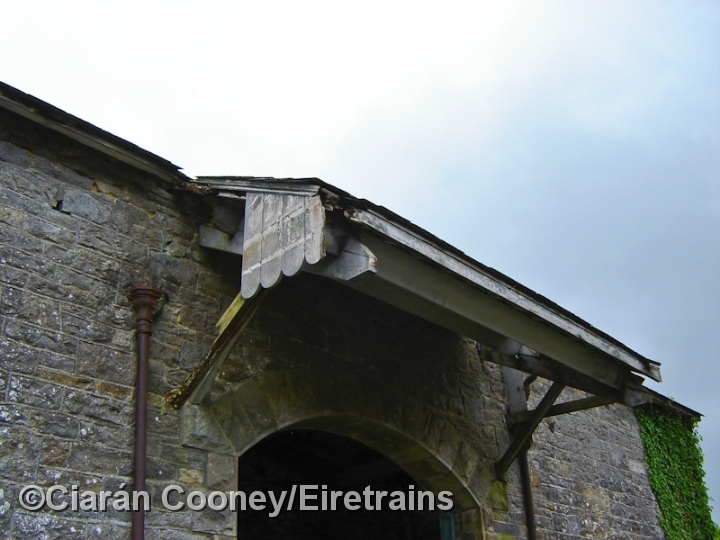 The main station building, originally a single storey structure but gained a second in railway days, has lost its canopy. 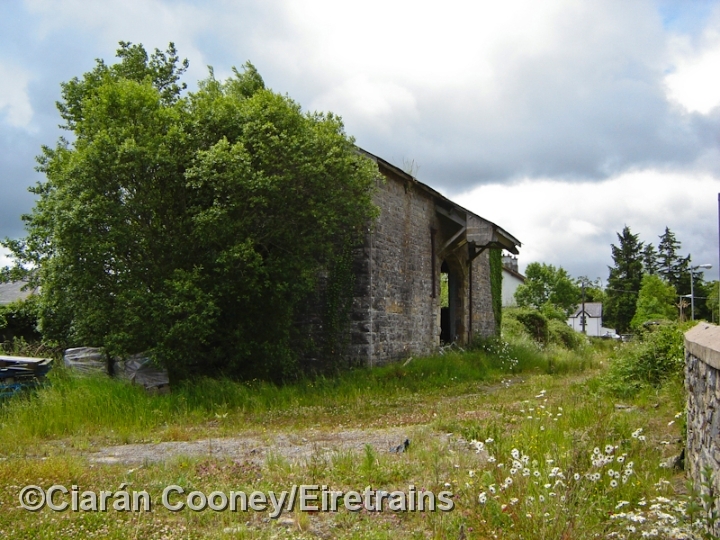 The single platform also remains, though partly covered over. 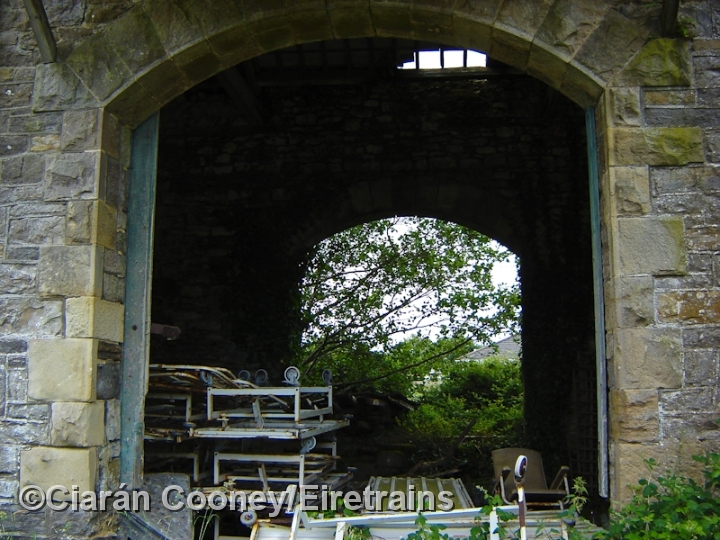 Behind the station is the goods shed which retains its canopy. 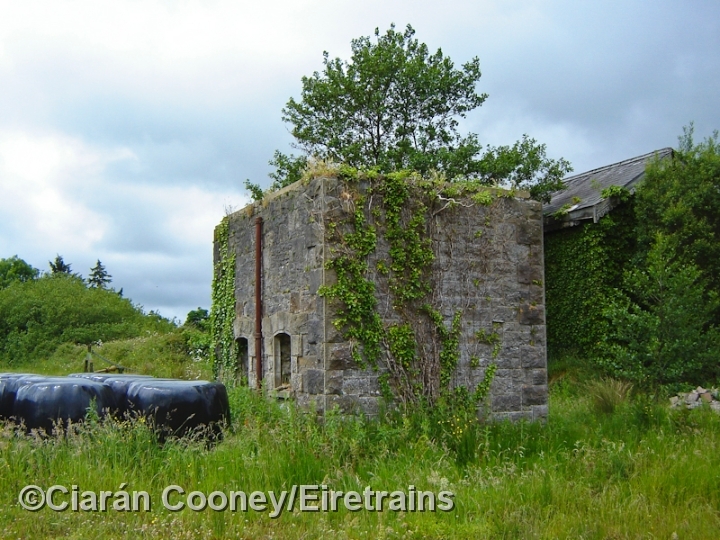 At the eastern end of the platform is the stone built base of the SLNCR signal cabin.